Alfred Adler (February 7, 1870, Mariahilfer Straße 208, Rudolfsheim, Rudolfsheim-Fünfhaus – May 28, 1937) was an Austrian medical doctor, psychologist and founder of the school of individual psychology. In collaboration with Sigmund Freud and a small group of Freud's colleagues, Adler was among the co-founders of the psychoanalytic movement as a core member of the Vienna Psychoanalytic Society. He was the first major figure to break away from psychoanalysis to form an independent school of psychotherapy and personality theory. This was after Freud declared Adler's ideas as too contrary, leading to an ultimatum to all members of the Society (which Freud had shepherded) to drop Adler or be expelled, disavowing the right to dissent (Makari, 2008). Following this split, Adler would come to have an enormous, independent effect on the disciplines of counseling and psychotherapy as they developed over the course of the 20th century (Ellenberger, 1970). He influenced notable figures in subsequent schools of psychotherapy such as Rollo May, Viktor Frankl, Abraham Maslow and Albert Ellis. His writings preceded, and were at times surprisingly consistent with, later neo-Freudian insights such as those evidenced in the works of Karen Horney, Harry Stack Sullivan and Erich Fromm. Adler emphasized the importance of equality in preventing various forms of psychopathology, and espoused the development of social interest and democratic family structures for raising children. His most famous concept is the inferiority complex which speaks to the problem of self-esteem and its negative effects on human health (e.g. sometimes producing a paradoxical superiority striving). His emphasis on power dynamics is rooted in the philosophy of Nietzsche. Adler argued for holism, viewing the individual holistically rather than reductively, the latter being the dominant lens for viewing human psychology. Adler was also among the first in psychology to argue in favor of feminism making the case that power dynamics between men and women (and associations with masculinity and femininity) are crucial to understanding human psychology (Connell, 1995). Adler is considered, along with Freud and Jung, to be one of the three founding figures of depth psychology, which emphasizes the unconscious and psychodynamics (Ellenberger, 1970; Ehrenwald, 1991). Alfred Ethan Adler was the second child of seven children of a Hungarian-born, Jewish grain merchant and his wife. Early on, he developed rickets, which kept him from walking until he was four years old. He almost died of pneumonia when he was five and it was at this age that he decided to be a physician. Alfred was an active, popular child and an average student who was also known for his competitive attitude toward his older brother, Sigmund. In 1895 he received a medical degree from the University of Vienna. During his college years, he became attached to a group of socialist students, among which he found his wife-to-be, Raissa Timofeyewna Epstein, an intellectual and social activist from Russia studying in Vienna. They married in 1897 and had four children, two of whom became psychiatrists. He began his medical career as an ophthalmologist, but he soon switched to general practice, and established his office in a lower-class part of Vienna, across from the Prater, a combination amusement park and circus. His clients included circus people, and it has been suggested that the unusual strengths and weaknesses of the performers led to his insights into "organ inferiorities" and "compensation". In 1902 Adler received an invitation from Sigmund Freud to join an informal discussion group that included Rudolf Reitler and Wilhelm Stekel. They met regularly on Wednesday evenings at Freud's home, with membership expanding over time. This group was the beginning of the psychoanalytic movement (Mittwochsgesellschaft or the "Wednesday Society"). A long-serving member of the group, Adler became President of the Vienna Psychoanalytic Society eight years later (1910). He remained a member of the Society until 1911 when he and a group of supporters formally disengaged, the first of the great dissenters from Freudian psychoanalysis (preceding Carl Jung's notorious split in 1914). This departure suited both Freud and Adler since they had grown to dislike each other. During his association with Freud, Adler frequently maintained his own ideas which often diverged from Freud's. While Adler is often referred to as a "a pupil of Freud's", in fact this was never true; they were colleagues. In 1929 Adler showed a reporter with the New York Herald a copy of the faded postcard that Freud had sent him in 1902. He wanted to prove that he had never been a disciple of Freud's but rather that Freud had sought him out to share his ideas. Adler founded the Society of Individual Psychology in 1912 after his break from the psychoanalytic movement. Adler's group initially included some orthodox Nietzschean adherents (who believed that Adler's ideas on power and inferiority were closer to Nietzsche than were Freud's). Their enmity aside, Adler retained a lifelong admiration of Freud's ideas on dreams and credited him for creating a scientific approach to their clinical utilization (Fiebert, 1997). Nevertheless, even with dream interpretation, Adler had his own theoretical and clinical approach. The primary differences between Adler and Freud centered on Adler's contention that the social realm (exteriority) is as important to psychology as is the internal realm (interiority). The dynamics of power and compensation extend beyond sexuality and the arena of gender and politics are important considerations that go beyond libido. Moreover, Freud did not share Adler's socialist beliefs. Trotsky's biography mentions his having discussions with Alfred Adler in Vienna. Adler was concerned with the overcoming of the superiority/inferiority dynamic and was one of the first psychotherapists to discard the analytic couch in favor of two chairs. This allows the clinician and patient to sit together more or less as equals. Clinically, Adler's methods are not limited to treatment after-the-fact but extend to the realm of prevention by preempting future problems in the child. Prevention strategies include encouraging and promoting social interest, belonging, and a cultural shift within families and communities that leads to the eradication of pampering and neglect (especially corporal punishment). Adler's popularity was related to the comparative optimism and comprehensibility of his ideas. He often wrote for the lay public—unlike Freud and Jung, who tended to write almost exclusively for an academic audience. Adler always retained a pragmatic approach that was task-oriented. These "Life tasks" are occupation/work, society/friendship, and love/sexuality. Their success depends on cooperation. The tasks of life are not to be considered in isolation since, as Adler famously commented, "they all throw cross-lights on one another". In the early 1930s, after most of Adler's Austrian clinics were closed due to his Jewish heritage (although he had converted to Christianity), Adler left Austria for a professorship at the Long Island College of Medicine in the USA. Adler died from a heart attack in Aberdeen, Scotland during a lecture tour in 1937. At the time it was a blow to the influence of his ideas although a number of them were taken up by neo-Freudians. Through the work of Rudolf Dreikurs in the United States and many other adherents worldwide, Adlerian ideas and approaches remain strong and viable more than 70 years after Adler's death. Adler was influenced by the mental construct ideas of the philosopher Hans Vaihinger (The Philosophy of As If / Philosophie des Als Ob) and the literature of Dostoevsky. While still a member of the Vienna Psychoanalytic Society he developed a theory of organic inferiority and compensation that was the prototype for his later turn to phenomenology and the development of his famous concept, the inferiority complex. Adler (1938) was a very pragmatic man and believed that lay people could make practical use of the insights of psychology. He sought to construct a social movement united under the principles of "Gemeinschaftsgefuehl" (community feeling) and social interest (the practical actions that are exercised for the social good). Adler was also an early supporter of feminism in psychology and the social world, believing that feelings of superiority and inferiority were often gendered and expressed symptomatically in characteristic masculine and feminine styles. These styles could form the basis of psychic compensation and lead to mental health difficulties. Adler also spoke of "safeguarding tendencies" and neurotic behavior long before Anna Freud wrote about the same phenomena in her book The Ego and the Mechanisms of Defense. Adler's book, Über den nervösen Charakter (The Neurotic Character) defines his earlier key ideas. He argued that human personality could be explained teleologically, parts of the individual's unconscious self ideal work to convert feelings of inferiority to superiority (or rather completeness). The desires of the self ideal were countered by social and ethical demands. If the corrective factors were disregarded and the individual over-compensated, then an inferiority complex would occur, fostering the danger of the individual becoming egocentric, power-hungry and aggressive or worse. Common therapeutic tools include the use of humor, historical instances, and paradoxical injunctions. Adler maintained that human psychology is psychodynamic in nature, yet unlike Freud's metapsychology that emphasizes instinctual demands, human psychology is guided by goals and fueled by a yet unknown creative force. Like Freud's instincts, Adler's fictive goals are largely unconscious. These goals have a "teleological" function. Constructivist Adlerians, influenced by neo-Kantian and Nietzschean ideas, view these "teleological" goals as "fictions" in the sense that Hans Vaihinger spoke of (fictio). Usually there is a fictional final goal which can be deciphered alongside of innumerable sub-goals. The inferiority/superiority dynamic is constantly at work through various forms of compensation and over-compensation. For example, in anorexia nervosa the fictive final goal is to "be perfectly thin" (overcompensation on the basis of a feeling of inferiority). Hence, the fictive final goal can serve a persecutory function that is ever-present in subjectivity (though its trace springs are usually unconscious). The end goal of being "thin" is fictive however since it can never be subjectively achieved. Teleology serves another vital function for Adlerians. Chilon's "hora telos" ("see the end, consider the consequences") provides for both healthy and maladaptive psychodynamics. Here we also find Adler's emphasis on personal responsibility in mentally healthy subjects who seek their own and the social good (Slavik & King, 2007). The metaphysical thread of cool Adlerian theory does not problematise the notion of teleology since concepts such as eternity (an ungraspable end where time ceases to exist) match the religious aspects that are held in tandem. In contrast, the constructivist Adlerian threads (either humanist/modernist or postmodern in variant) seek to raise insight of the force of unconscious fictions– which carry all of the inevitability of 'fate'– so long as one does not understand them. Here, 'teleology' itself is fictive yet experienced as quite real. This aspect of Adler's theory is somewhat analogous to the principles developed in Rational Emotive Behavior Therapy (REBT) and Cognitive Therapy (CT). Both Albert Ellis and Aaron T. Beck credit Adler as a major precursor to REBT and CT. Ellis in particular was a member of the North American Society for Adlerian Psychology and served as an editorial board member for the Adlerian Journal Individual Psychology. As a psychodynamic system, Adlerians excavate the past of a client/patient in order to alter their future and increase integration into community in the 'here-and-now'. The 'here-and-now' aspects are especially relevant to those Adlerians who emphasize humanism and/or existentialism in their approaches. it also changes the way of how we look at life. in 1958 Adler began to look at structuralism. he began to look at the development of children just like Freud. Metaphysical Adlerians emphasise a spiritual holism in keeping with what Jan Smuts articulated (Smuts coined the term "holism"), that is, the spiritual sense of one-ness that holism usually implies (etymology of holism: from ὅλος holos, a Greek word meaning all, entire, total) Smuts believed that evolution involves a progressive series of lesser wholes integrating into larger ones. Whilst Smuts' text Holism and Evolution is thought to be a work of science, it actually attempts to unify evolution with a higher metaphysical principle (holism). The sense of connection and one-ness revered in various religious traditions (among these, Baha'i, Chrisitanity, Judaism, Islam and Buddhism) finds a strong complement in Adler's thought. The pragmatic and materialist aspects to contextualizing members of communities, the construction of communities and the socio-historical-political forces that shape communities matter a great deal when it comes to understanding an individual's psychological make-up and functioning. This aspect of Adlerian psychology holds a high level of synergy with the field of community psychology. However, Adlerian psychology, unlike community psychology, is holistically concerned with both prevention and clinical treatment after-the-fact. Hence, Adler cannot be considered the "first community psychologist", a discourse that formalized in the decades following Adler's death (King & Shelley, 2008). The Getting or Leaning type are those who selfishly take without giving back. These people also tend to be antisocial and have low activity levels. Adler often emphasized one's birth order as having an influence on the Style of Life and the strengths and weaknesses in one's psychological make up. Birth Order referred to the placement of siblings within the family. Adler believed that the firstborn child would be loved and nurtured by the family until the arrival of a second child. This second child would cause the first born to suffer feelings of dethronement, no longer being the center of attention. Adler (1956) believed that in a three-child family, the oldest child would be the most likely to suffer from neuroticism and substance addiction which he reasoned was a compensation for the feelings of excessive responsibility "the weight of the world on one's shoulders" (e.g. having to look after the younger ones) and the melancholic loss of that once supremely pampered position. As a result, he predicted that this child was the most likely to end up in jail or an asylum. Youngest children would tend to be overindulged, leading to poor social empathy. Consequently, the middle child, who would experience neither dethronement nor overindulgence, was most likely to develop into a successful individual yet also most likely to be a rebel and to feel squeezed-out. Adler himself was the second in a family of six children. Adler never produced any scientific support for his interpretations on birth order roles. Yet the value of the hypothesis was to extend the importance of siblings in marking the psychology of the individual beyond Freud's more limited emphasis on the Mother and Father. Hence, Adlerians spend time therapeutically mapping the influence that siblings (or lack thereof) had on the psychology of their clients. The idiographic approach entails an excavation of the phenomenology of one's birth order position for likely influence on the subject's Style of Life. In sum, the subjective experiences of sibling positionality and inter-relations are psychodynamically important for Adlerian therapists and personality theorists, not the cookbook predictions that may or may not have been objectively true in Adler's time. The Dutch psychiatrist Gerard J. M. van den Aardweg underlines how Alfred Adler came to his conclusions for, in 1917, Adler believed that he had established a connection between homosexuality and an inferiority complex towards one's own gender. This point of view differed from Freud's theory that homosexuality is rooted in narcissism or Jung's view of inappropriate expressions of contrasexuality vis-a-vis the archetypes of the Anima and Animus. There is evidence that Adler may have moved towards abandoning the hypothesis. Towards the end of Adler's life, in the mid 1930s, his opinion towards homosexuality began to shift. Elizabeth H. McDowell, a New York state family social worker recalls undertaking supervision with Adler on a young man who was "living in sin" with an older man in New York City. Adler asked her, "is he happy, would you say?" "Oh yes," McDowell replied. Adler then stated, "Well, why don't we leave him alone." On reflection, McDowell found this comment to contain "profound wisdom". Although, there must be some misunderstanding on Adler's answer. Adler was offering his help only to those who were asking for it in person. His therapy process could be applied only to those who feel themselves in a deadlock, fallen "at the bottom of a well", and are looking for help to get out. Even though, homosexuality was considered as one of the most difficult cases, needing long experience of the psychotherapist and not only many consequent sessions but also long time of personal work by the individual, depending on the "maturity" of his problem. Success could not be guaranteed. Adler emphasized both treatment and prevention. As a psychodynamic psychology, Adlerians emphasize the foundational importance of childhood in developing personality and any tendency towards various forms of psychopathology. The best way to inoculate against what are now termed "personality disorders" (what Adler had called the "neurotic character"), or a tendency to various neurotic conditions (depression, anxiety, etc. ), is to train a child to be and feel an equal part of the family. This entails developing a democratic character and the ability to exercise power reasonably rather than through compensation. Hence Adler proselytized against corporal punishment and cautioned parents to refrain from the twin evils of pampering and neglect. The responsibility to the optimal development of the child is not limited to the Mother or Father but to teachers and society more broadly. Adler argued therefore that teachers, nurses, social workers, and so on require training in parent education in order to complement the work of the family in fostering a democratic character. When a child does not feel equal and is enacted upon (abused through pampering or neglect) they are likely to develop inferiority or superiority complexes and various accompanying compensation strategies. These strategies exact a social toll by seeding higher divorce rates, the breakdown of the family, criminal tendencies, and subjective suffering in the various guises of psychopathology. Adlerians have long promoted parent education groups, especially those influenced by the famous Austrian/American Adlerian Rudolf Dreikurs (Dreikurs & Soltz, 1964). "I see no reason to be afraid of metaphysics; it has had a great influence on human life and development. We are not blessed with the possession of absolute truth; on that account we are compelled to form theories for ourselves about our future, about the results of our actions, etc. Our idea of social feeling as the final form of humanity - of an imagined state in which all the problems of life are solved and all our relations to the external world rightly adjusted - is a regulative ideal, a goal that gives our direction. This goal of perfection must bear within it the goal of an ideal community, because all that we value in life, all that endures and continues to endure, is eternally the product of this social feeling." This social feeling for Adler is Gemeinschaftsgefühl, a community feeling whereby one feels he or she belongs with others and has also developed an ecological connection with nature (plants, animals, the crust of this earth) and the cosmos as a whole, sub specie aeternitatus. Clearly, Adler himself had little problem with adopting a metaphysical and spiritual point of view to support his theories. Yet his overall theoretical yield provides ample room for the dialectical humanist (modernist) and separately the postmodernist to explain the significance of community and ecology through differing lenses (even if Adlerians have not fully considered how deeply divisive and contradictory these three threads of metaphysics, modernism, and post modernism are). Adler, A. (1964). Superiority and Social Interest: A Collection of Later Writings. H. L. Ansbacher and R. R. Ansbacher (Eds.). Evanston, IL: Northwestern University Press. Bottome, Phyllis (1939). Alfred Adler - A Biography. G. P. Putnam's Sons. New York. Bottome, Phyllis (1939). Alfred Adler - Apostle of Freedom. London: Faber and Faber. 3rd Ed. 1957. Dinkmeyer, D., Sr., & Dreikurs, R. (2000). Encouraging Children to Learn. Philadelphia: Brunner-Routledge. Dreikurs, Rudolf (1935): An Introduction to Individual Psychology. London: Kegan Paul, Trench Trubner & Co.Ltd. - New edition 1983: London & New York: Routledge, ISBN 0415210550. Lehrer, R. (1999). Adler and Nietzsche. In: J. Golomb, W. Santaniello, and R. Lehrer. (Eds.). Nietzsche and Depth Psychology. (pp. 229–246). Albany, NY: State University of New York Press. Rattner, Josef (1983): Alfred Adler - Life and Literature. Ungar Pub. Co. ISBN 0804459886. Watts, R. E. (2003). Adlerian, cognitive, and constructivist therapies: An integrative dialogue. New York: Springer. Watts, R. E., & Carlson, J. (1999). Interventions and strategies in counseling and psychotherapy. New York: Accelerated Development/Routledge. ^ "Alfred Adler Biography". Encyclopedia of World Biography. http://www.notablebiographies.com/A-An/Adler-Alfred.html. Retrieved 10 February 2010. 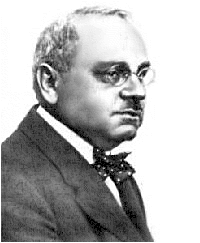 Alfred Adler (1870-02-07 – 1937-05-28) was an Austrian medical doctor and psychologist. From a new translation of "Progress in Individual Psychology,"  a journal article by Alfred Adler, in the AAISF/ATP Archives. The chief danger in life is taking too many precautions.